Cycling stars Mark Cavendish and Peter Kennaugh have been named as part of the biggest Isle of Man squad ever for a Commonwealth Games, with the island sending 46 athletes to compete at Glasgow 2014. Isle of Man athletes will take part in athletics, badminton, boxing, cycling, gymnastics, lawn bowls, shooting, swimming and triathlon during the Games which run from July 23 to August 3. Cavendish, who won gold at the Melbourne 2006 Games in the men's scratch race and has an impressive 25 stage wins on the Tour de France, putting him third on the all-time list, will lead a 10-strong cycling squad in Glasgow. Kennaugh became the first Manx athlete to win an Olympic gold medal since rower Sidney Swann in 1912, when he was part of the British team pursuit squad at London 2012. They will be joined by Delhi 2010 bronze medal winner Mark Christian, Jonnu Bellis, Jake Kelly, Joe Kelly, Elliot Baxter, Andrew Roche, Anna Christian and Laura Wasley. Cycling has provided four of the 10 medals won by the Isle of Man since the island first competed at a Commonwealth Games in 1958 in Cardiff, which saw Stuart Slack win a bronze in the road race event. That was followed by a gold medal in the same event for Peter Buckley at the 1966 Games in Kingston, Jamaica. Commenting on the cycling squad, head coach Mike Doyle, said: "There is a lot of quality in our team. 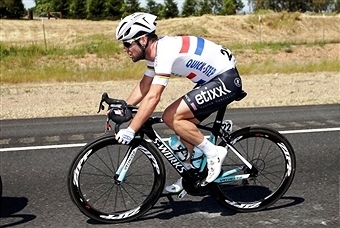 "We obviously hope Mark (Cavendish) comes out of the Tour de France fit and raring to go. 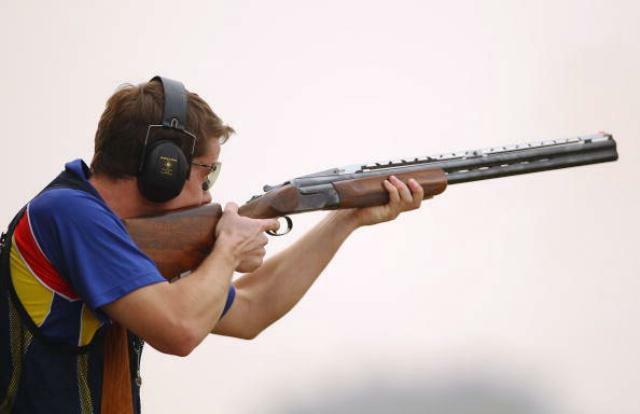 Shooting has also been a successful sport for the Isle of Man, with Tim Kneale's bronze in the individual trap competition at Delhi 2010 one of five shooting medals that includes a gold at the 1986 Edinburgh Games for Nigel Kelly. Kneale will be competing once again at the Barry Buddon Shooting Centre during Glasgow 2014 where he will be joined by Jake Keeling, Neal Parsons, David Walyon, David Clague, James Bradley, Harry Creevy, Ben Kelly, Rachel Glover, Gemma Kermode and Laura Ward. The Isle of Man's other Commonwealth Games medal came when Alexandra Jackson took swimming bronze at Edinburgh 1970 and this year seven swimmers will take to the pool at the Tollcross International Swimming Centre with Grant Halsall, Tom Bielich, Guy Davies, Alex Bregazzi, Charlotte Atkinson, Laura Kinley and Niamh Robinson competing. The gymnastics squad is made up of Alex Hedges, Anand Patel, Mukunda Measuria, Harshul Measuria, Kaitlin Kneen, Tara Donnelly, Grace Harrison and Nicole Burns, while Harriet Pyke, Keith Gerrard, Reagan Dee and Olivia Curran will take part in athletics events. The trio of Ben Li, Cristen Callow and Kim Clague will compete in badminton. The island will be represented in boxing, triathlon and lawn bowls by Krystian Borucki, Andrew Nash and Bernice McGreal respectively. "This is the biggest and strongest squad ever to represent the Island at the Commonwealth Games," said Juliet Holt, President of the Isle of Man Commonwealth Games Association (IOMCGA), which launched a new Team Isle of Man website last month. "The Isle of Man can be extremely proud that a nation of only 84,000 can produce such a wealth of talented sportsmen and sportswomen who have all trained incredibly hard to reach the high standards required to compete at Glasgow 2014."